Netflix can now be accessed on LG Smart TVs in the Philippines, thanks to the recent update and partnership between the two. In case you didn't know, Netflix is the one who carries Marvel's DareDevil, Orange is the New Black and its own original series Marco Polo. MANILA – In line with its global partnership with multinational Internet TV provider Netflix, technology leader LG Electronics announced that the on-demand streaming operation will already be available in the Philippines starting today. This rollout succeeds other established markets (the Americas, Western Europe, Australia, New Zealand and Japan). Among Netflix’s acclaimed original TV show series are Marvel’s Daredevil, Orange is the New Black and Sense8. The company also plans to provide global members with its HDR-mastered original TV series Marco Polo. Netflix has praised LG’s 4K HDR OLED TVs for having the purest black, contrast and color vibrancy, all factors which ensure enhanced details and greater dimension when displaying their content. 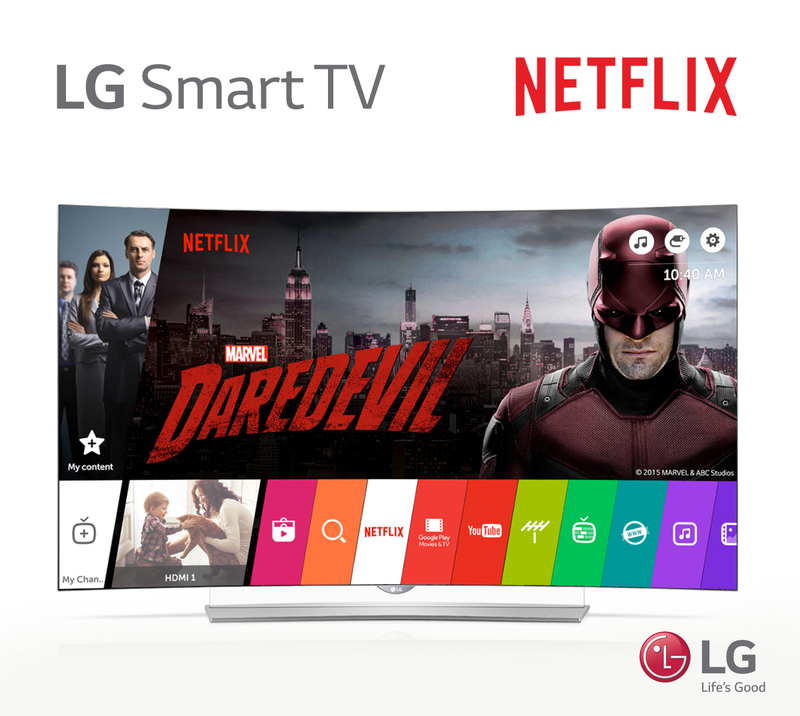 Netflix is now available in select LG Smart TV models in the Philippines. For more information, visit www.lg.com/ph; like LG’s official Facebook page “LG TV Philippines” or follow @LGPhilippines on Twitter and Instagram. Netflix on-demand streaming service can now be availed starting at PHP370.00 per month, where first month is free.